Crews were on the scene of an electrical fire along the Perry Hall/Kingsville border on Wednesday morning. At just before 10 a.m., units from White Marsh Volunteer Fire Company responded to the fire along Belair Road near the Gunpowder Lodge. 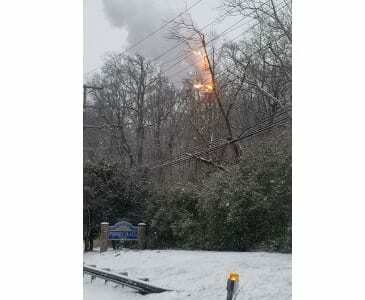 Initial reported indicate that a tree fell into the power lines, sparking the blaze.